Our classic, triple certified tea! Breakfast Tea is our best selling blend, an all day black tea. If you have had a cup of Breakfast tea at a café in Great Britain that sells Suki Tea 9 times out of 10 it would be this one. We think this tea is perfect to help kickstart your morning and prepare you for all that Christmas shopping. We equally think it is the perfect thing for that Christmas shopping tea break! To be honest, we think that it is perfect for any time of the day! We love to drink ours from this little enamel mug. Today, at Suki HQ we were all really in Christmas mode. 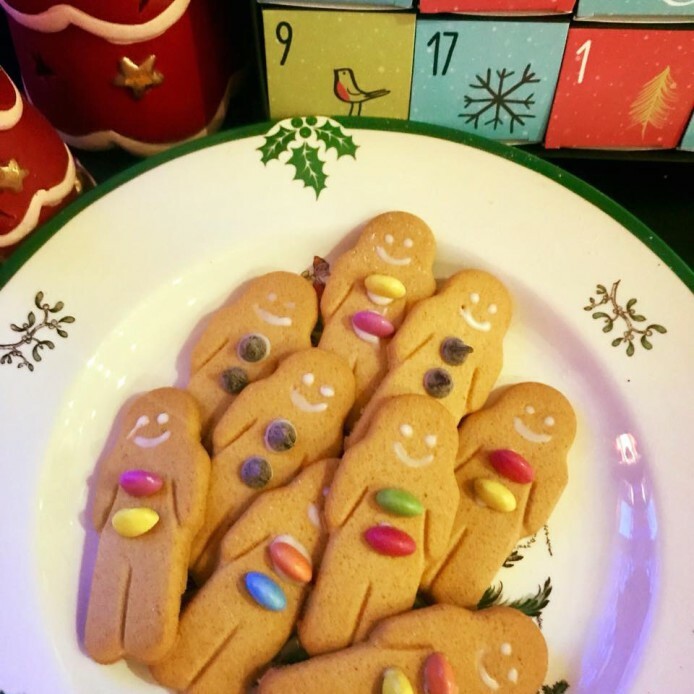 At break time, we enjoyed endless pots of Breakfast Tea and a couple of ginger bread men.... what do you think? For TODAY ONLY, Breakfast tea (80g) will be HALF PRICE on our website!